This sign is a wonderful little gift for a new mama. If she's not comfortable nursing in public, she can sneak away and find an empty room and hang this on the door so she won't be disturbed. If she's going back to work and a less than optimal / not so private pumping space is provided, she can hang this on the door so her coworkers or students don't accidentally crash the pumping party. It's also a lovely little sign for a hotel or bed and breakfast to offer guests during their stay. It can even be uses in the guest room of a home so that visitors can gently ask to be left alone when they need a little privacy. This one is a lovely purple, but I also offer other color options in my shop including gold, coral pink, light turquoise, and green. 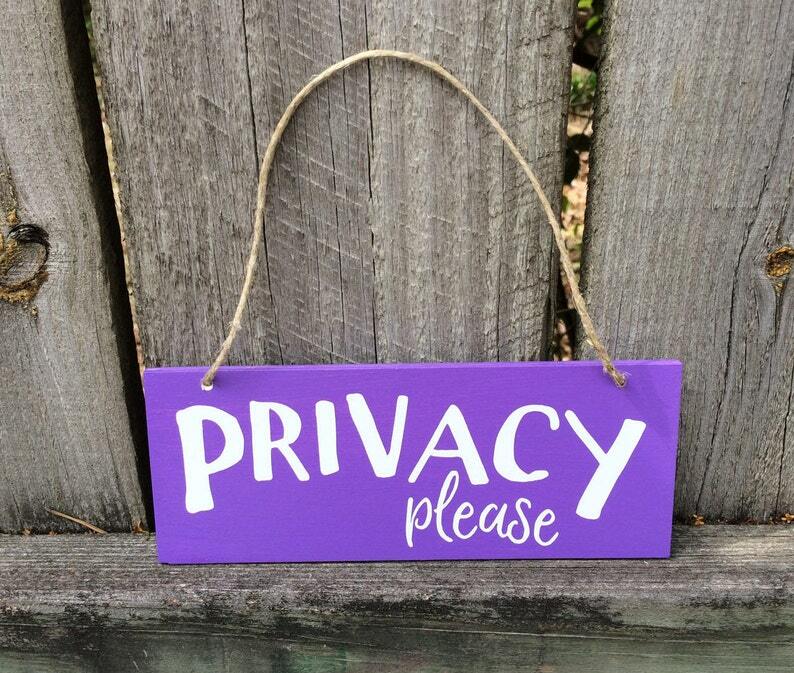 This wooden sign is painted, sealed, and decorated with outdoor grade vinyl for durability. Measures slightly under 3 inches tall and slightly over 7 inches wide. It's lightweight and small enough to keep in the diaper bag for use when out and about. Order processing time is 2-3 business days.